When the Fairfield Store closed in 1996, everyone wondered what would fill the gaping hole in the heart of downtown. When that bookstore bid a bankrupt bye-bye last spring, the worries resurfaced. Now comes news that Fairfield University will open a new, innovative bookstore there this fall. A handsome gazebo sits in Fairfield center, not far from what will soon be an exciting retail replacement for Borders. The “state-of-the-art” operation — an adjunct to Fairfield’s on-campus store — will carry course books, plus clothing sportswear, and gift items from both the college and Fairfield’s 2 high schools. According to the Fairfield Minuteman, “one of the largest companies and the most valuable technology company in the world” will also share the space. Can you say “Apple Store”? And “one of the largest coffee-houses” in the US will also open up shop there. This is “06880” — not “06824.” So why waste valuable pixels reporting on something a couple of miles beyond our, um, borders? Because we too have a big bookstore. And even though Barnes & Noble is in no danger of bankruptcy — yet — comparisons are apt. Unlike Fairfield, our chain store is not downtown. In fact, it’s pretty far away, in one of our many stand-alone shopping centers. It’s the type of place you don’t just wander into. You have to plan to go there. Now — just a couple of months after Borders shut down — the high-profile property will once again pulse with activity. 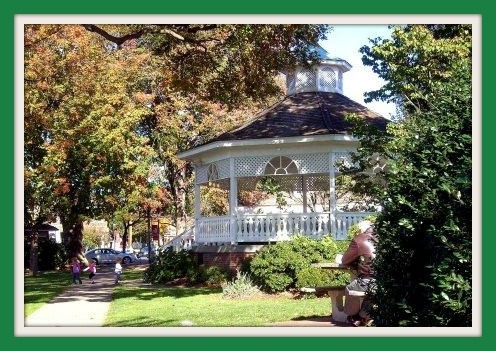 Shoppers of all ages will come, linger — then wander up and down the lively downtown streets of Fairfield. Once upon a time we had our own anchor: Klein’s. While the Fairfield Store sold clothing, Klein’s specialized in an eclectic mix of books, electronic equipment, stationery and other “department store” items. But its role was the same. It drew people in, kept them there — and benefited many other local merchants. Its replacement — Banana Republic — is a big name in retail. Yet it is also just another clothing chain, on a street swamped with similar stores. Sometime (relatively) soon, the Y will decamp for its new home. The hole it leaves will be as significant as when first the Fairfield Store, then Borders, departed. Promises have been made that the Y will be replaced by an exciting mix of commercial, residential and office properties. We’ll see whether the most important old/new building in downtown Westport draws a diverse crowd, from within our borders and beyond. Or whether everyone keeps heading to Fairfield for exciting stores, restaurants and fun. This entry was posted in Downtown, Local business, Places and tagged Barnes & Noble, Borders, Downtown Westport, The Fairfield Store. Bookmark the permalink. I work in Westport. I live in Fairfield. I am thrilled that Borders will not become another real estate agency, bank, or law office. The “boreification” of Fairfield’s downtown has been going on for some time and is now on the cuff of loosing all interest entirely. Hopefully, the F.U. bookstore will keep Fairfield’s downtown alive. An Apple store… whoa, that could be very cool. But right now, there’s not much there compared to Westport’s Main Street. Hell, you still have Sally’s Place and Oscars! There’s still lots of life left in your downtown. Interesting! I believe Downtown Westport is on the verge of becoming a hip destination, regardless of the Y leaving. With the addition of the new Saugatuck House restaurant, the construction on Church St, as well as a the #1 leader in Sports shoes and apparel in the world (Yes, Nike!) the downtown area will be alive and well. I remember buying school supplies and my 45’s at Klein’s. We, as many Westport families did, had a charge account. We’d buy all of our supplies and they knew who’s account to put it on! While much of me longs for the good old days, I am really pleased wtih the new Gap building, formerly The Market Place. My grandfather had an office there YEARS ago, and my mom worked for him. I’d take the mini bus downtown, walk to her office, and we’d go to Soup’s On or the pizzeria. Those memories aside, The Market Place was just an eyesore. It looks stunning now and there’s life coming back to downtown! We may not have The Selective Eye, but our empty stores are being leased and I do enjoy the new energy! Yes, grabbing a 45 at Klein’s and the smell of Soup’s On’s Onion Soup are wonderful memories (oh, and the fresh pumpernickle raisin bread and that creamy watercress dressing!!! ), but I’m sure I’ll find many new fond memories walking my baby girl downtown. I can also sit with her at the counter at the pizzeria (in a few years) and grab a slice, just as my mom and I did! Have a wonderful day 06880ers!! Judi, you and your daughter can’t pick up 45s so easily these days in town, but you two can still check in with Sally (from Klein’s) at “Sally’s Place” and pick out a great children’s CD! She’s the best! On a sidenote, many universities have teamed with Barnes or Borders to serve their students and the general public. SMU has done it in Dallas and Johns Hopkins in Baltimore. Maybe we should get a university here, Professor???? Compo College?? Start with a soccer team and then worry about academics. How aboput a medical marijuana establishment? Corporate America owns this country. Good luck!! John: Darien has two out your four listings and is a dump downtown. Interesting. Madison is only 18,000+ too. Very interesting. Remove chain link fence from Veterans Green. The opening of Borders in Fairfield put The Open Book Shop, a lovely bookstore next to the Community Theatre (that had been there at least since the 1950s) out of business. 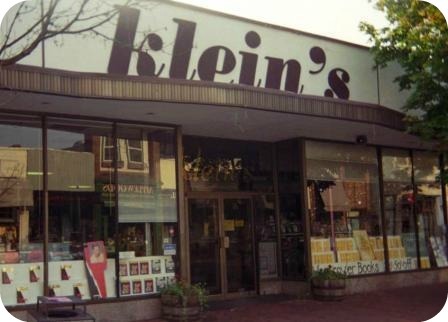 Just like Barnes and Noble, Staples, Crazy Eddie and its reincarnations put Kleins and The Remarkable Bookshop out of business. Just like GAPS and Banana Republics put all of the stores that made Westport Westport out of business. And in another few years, the internet will put all of those retail stores out of business. Hopefully, in my lifetime, a big backlash will occur, and the mom and pop cycle of individuality and personal service will start all over again. Not unless you are a teenager, Holly. Big corporations are here to stay. Mom and Pop may deliver to the super rich that will control things in the 2050’s but meanwhile “franchise” is the name of the game. I don’t think that the dynamics of the transformation of downtown Westport or the overall economy are as simple as they appear on the surface. Demand drives innovation, and some innovation drives demand. No innovation is sustainable without support from the market; think Edsel or New Coke. Downtown Westport is they way it is because the market supports most of its current form. That which is not supported will disappear. Personally, I would like a cigar and adult beverage establishment with indoor and outdoor seating, but not going to happen. Same for most of the other quaint pipe dreams ennumerated here. You make a valid point with demand side economics. But there is no question that, in many small towns, Mom and Pop stores can not compete with the prices of WalMart or the larger chains. Thus it is also supply side pricing that dictates what will drive the demand. Actually I was thinking of opening a cigar shop complete with humidors. I was thinking “Monica’s” as its name. What do you think??? A little sexist, for sure. But I did laugh! Re large store vs. small — where would you rather go to buy hardware items? Westport Hardware or The Home Depot? Torno Lumber or THD? At some point, employee knowledge and convenience trump price. I agree. I buy my hardware needs locally. ACE is the place for me and I dislike Home Depot. But someone who is comparing pricing, the local merchant is not going to compete. “Monica’s” will be semi-private with membership dues, gender friendly (gals smoke cigars as well) and I was thinking right next to Tina Dragone’s???? Have a few ex-cons as valets. Dancing on Saturday nite with only Motown/Disco. In? Holly may be too young. Yeah, that’s the ticket! Too young. Has a nice ring to it. OK. but can the disco. Do we get to smoke the cigars? If so I’m in. It would probably need to be a “private” club. There were “chains” even back in the 50’s and 60’s. Food Fair, Finast, Western Auto, Ben Franklin, Goodwill, McClellan’s, the Clam Box, the Big Top come quickly to mind as having more than one location than just in Westport.